Firefighters used the Jaws of Life to cut the victim out of what remained of her car. While she was able to tell rescuers that she was OK, she was still rushed to a local hospital and treated for what do not appear to be life-threatening injuries. Authorities believe that the victim drove her car over the tracks, and the safety gates at the railroad crossing lowered in front of and behind her vehicle on their respective sides of the tracks, leaving her trapped between them as the train approached. The train operator saw the car on the tracks and applied the emergency breaks, but, given the speed of the train and its weight, there was very little chance for the train to stop in time to prevent this accident. 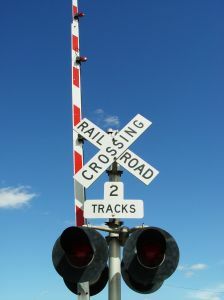 Our Boston car accident attorneys understand that, in cases such as this one, it may be possible to file a negligence case against the entity responsible for maintaining a railroad crossing safety system. The safety gates are there to prevent cars from driving on the tracks and being hit by a moving train. Two variables that may effect whether the system works as designed is how far in advance the gates are lowered before the train arrives and how much warning is given to drivers that the gates are being lowered. While there is nothing that can be done to prevent an accident if the driver tries to speed past the gates before they are completely lowered, in a normal driving situation, there should be enough warning (lights or bells) that the gate is going to come down, so that a driver can avoid getting trapped between the gates. If the system is not working properly, it may be the result of a defective design by the company that manufactured it or defective maintenance by the municipality or other government agency responsible for its operation. While we do not know the cause of the accident in the Acton crash, in cases like it, your accident attorney will be able to conduct an extensive investigation into why an accident occurred and whether it was due to negligent conduct for which a plaintiff could financially recover.